All our rooms feature a shower/WC, telefone, radio, flatscreen TV, safe, balcony and free Wifi. Incl. 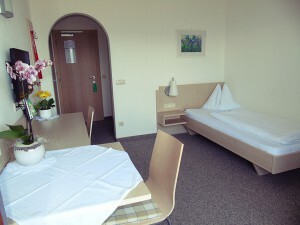 : heating, water, electricity, parking-place swimming pool, WLAN-connection, towels. Check-in: On arrival you can check into your room from 2.00 pm onwards. Check-out: Please be so kind as to vacate your room by 10.00 am. Late check-out can also be arranged on request depending on current availability.